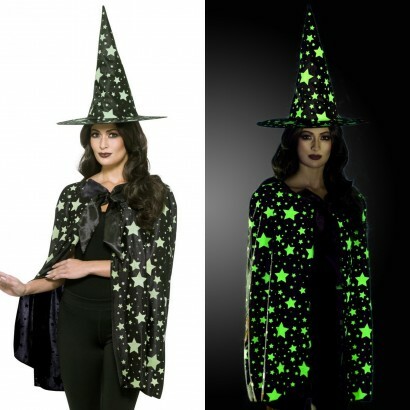 Become a spooky Halloween witch in two easy steps; with a pointed hat and a mid length cape featuring glow in the dark stars! 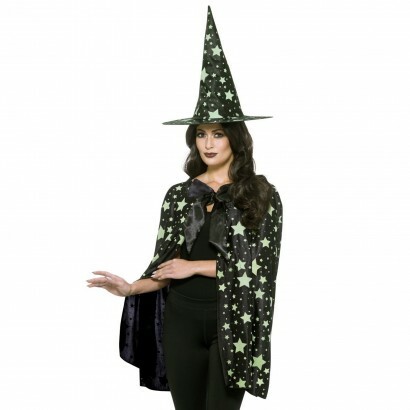 A one size adults fancy dress kit, this spooky outfit is ideal for Halloween transforming you into a witch with minimum fuss. 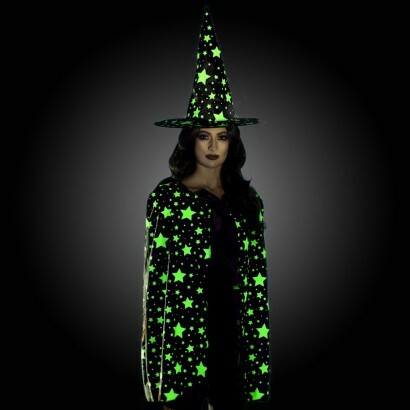 Expose the outfit to light before use allowing the cape and hat to "charge" and then view in pitch black conditions to see the glow stars shine with an eerie green glow!